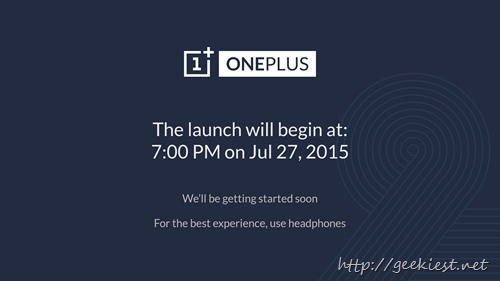 The OnePlus 2 launch will be the first one of its kind. OnePlus is doing it using virtual reality. If you have a Google cardboard you can view it in 3D and if you do not have a cardboard, don’t worry you can still watch it online. OnePlus launched the Android Application through which they will show the OnePlus 2 launch event. So the launch event wil be available for the Android devices first and then only for the other devices such as iOS, PCs, Windows Phones etc. Get the application for your Android phone now from this link. The above image will be what you can view on the application as of now.